Whether you are running a gas station, convenience store or even a lumber yard, we know your number one priority is providing a one stop service for all your client’s need. 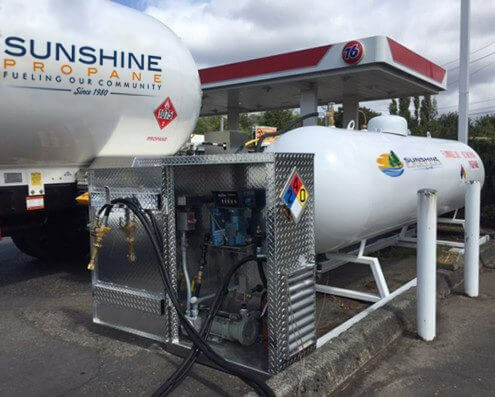 A Sunshine Propane Dispensing Station is a great way to help your existing customers with their propane bottle filling needs as well as a very effective way to attract new customers to your location. 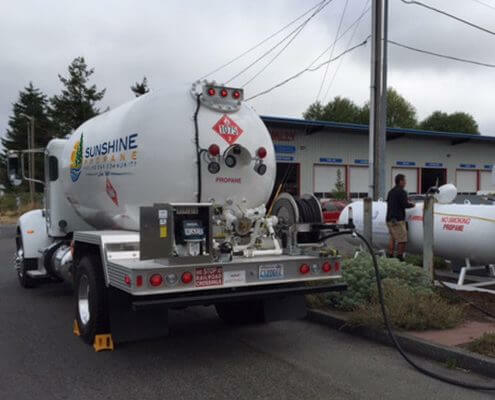 Our Dispenser Service contains all the equipment you need to start filling propane bottles today and take advantage of the extra revenue earned by both selling propane and the secondary sales from clients visiting your location for a fill. All the equipment and service you need. We make sure you always have propane. 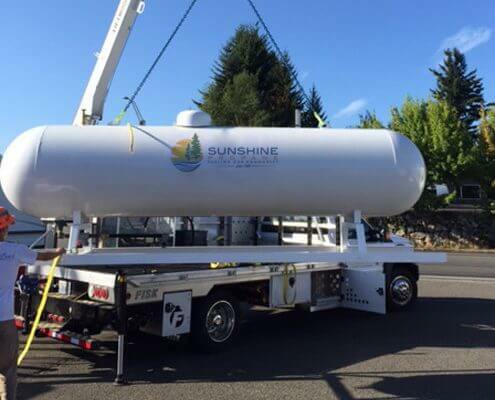 Our Propane Dispensing Service contains all the equipment, service and even marketing support you need to sell propane at your location. Contact us today to see how easy it is to get up and running refilling customer bottles today. Marketing and online advertising support. Discounted residential propane pricing for owners and employees. We outfit your tank with a wireless tank monitoring system. Your tank "phones home" so we always know when you need propane and schedule your deliveries accordingly. PCE helps to direct customers to our Business Partner's locations. Though our Google AdWords campaigns and our online Propane Dispenser MAP we work to help propane customers find your business. We know you work hard to make your business clean and presentable for your clients. No one want a rusty old propane tank on the lot. 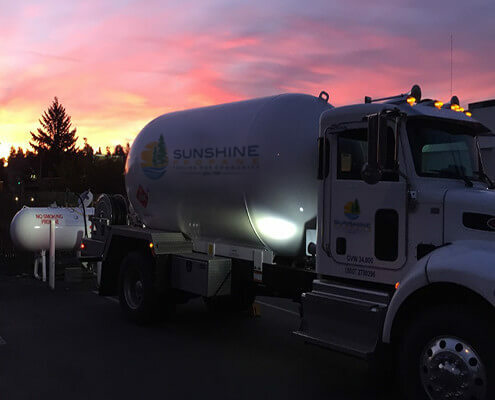 We provide only new, high quality tanks with our Dispenser Services to make sure your location both looks good and provides the service level your customer's expect.